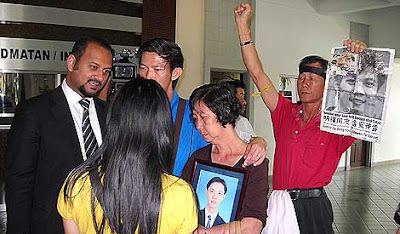 Sleeping all the time: Open Verdict in Teoh inquest: Teoh Beng Hock's death not suicide or homicide!!! Open Verdict in Teoh inquest: Teoh Beng Hock's death not suicide or homicide!!! Thirty-seven witnesses testified, including well-known Thai pathologist Dr Pornthip Rojanasunand. Drag until today, for an answer. 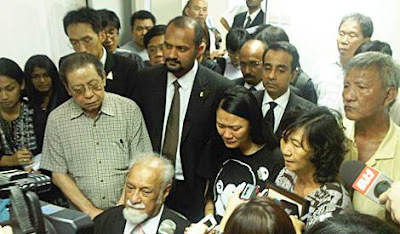 "Two theories of cause of death were advanced - death by homicide and death by suicide," Coroner Azmil Muntapha Abas said. 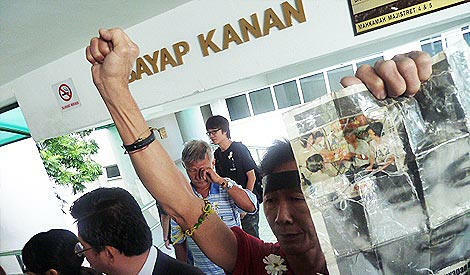 "the MACC president promised us an answer." "How can you give an open verdict? Is this your answer? I can't accept this,” Teoh's sister Lee Lan said in Mandarin and Malay. KOS: After so many days of waiting, "open verdict" is the answer.